I use to cook ribs for the masses at the 4th of July parties. These were my ribs and people really loved them. Then, last year, I made Adam Perry Lang’s BBQ Rib recipe. I spent so many years perfecting my recipe and here was a recipe that was perfect the first time I tried it. Not fair - You’re suppose to work at this! 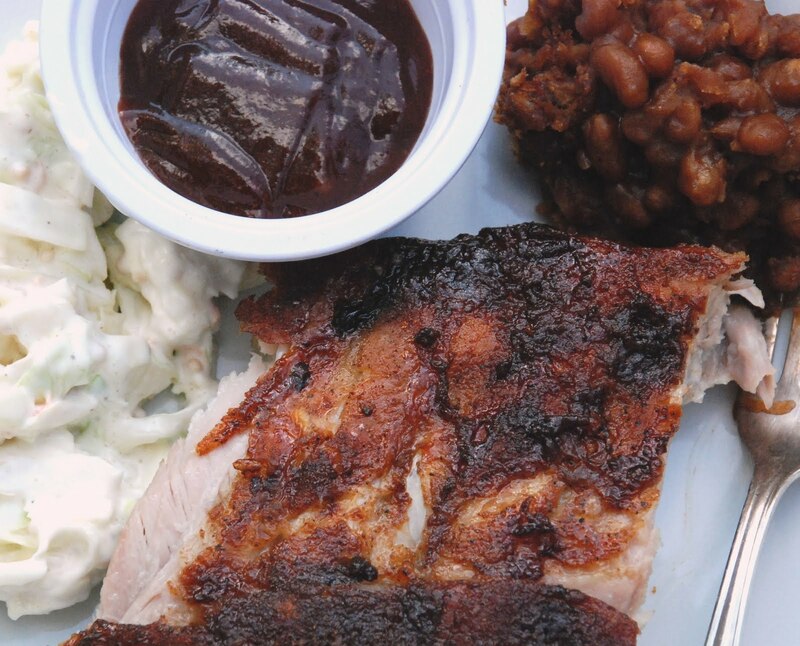 Fire up the grills and see if you can out-cook Charlie, who won the Lake Forest rib cookoff last year with a modified version of this recipe that I sent out to hundreds of foodies last 4th of July. Here it is again for anyone who missed it. Send me a new recipe if you happen to spend the better part of the summer perfecting this one because we think it’s pretty perfect already! Preheat an indirect BBQ to 275˚F (use fruitwoods if possible, such as apple). Spread ribs evenly with Spice Paste. Place the ribs in the cooker and cook indirect (meaning not in direct exposure to fire) for 2 hours. While ribs are cooking, combine the fortified barbeque sauce in a bowl and set aside. When the 2 hours has elapsed, tear off 4 large sheets of aluminum foil (enough to accommodate two racks of ribs side by side). On first sheet, place half of the packet mixture on the foil, top with a rack of ribs meaty side down, and wrap in the foil, crimping to seal securely. Wrap with the second sheet of foil. Repeat for the remaining 2 racks of ribs. Place the wrapped ribs back in the cooker, and cook for an additional hour. Remove the wrapped ribs from the cooker and carefully remove from foil packets. Coat with fortified BBQ sauce. Place back in the BBQ meat side down for 15 minutes, flip over, brush with additional sauce then continue to cook for an additional 15 minutes.